A few clouds. Low 44F. Winds NNW at 10 to 20 mph..
A few clouds. Low 44F. Winds NNW at 10 to 20 mph. Three more houses damaged by landslides in 2015 could be bought out under a proposal being considered by the Colorado Springs City Council. More than two years after local landslides proved catastrophic for 27 homeowners, the city is preparing to buy those properties using $5.94 million stemming from a federal disaster declaration. But not so fast. Besides the appraisals, buyouts and demolitions that property owners long have awaited, the city now is adding another step. It has issued a request for proposals to conduct "forensic engineering," using civil and structural engineers to review how the houses and land were damaged and to what extent. Bids are due in mid-October. Once a firm is selected and does the work, city officials will reorder the priority list of which homeowners get bought out first. 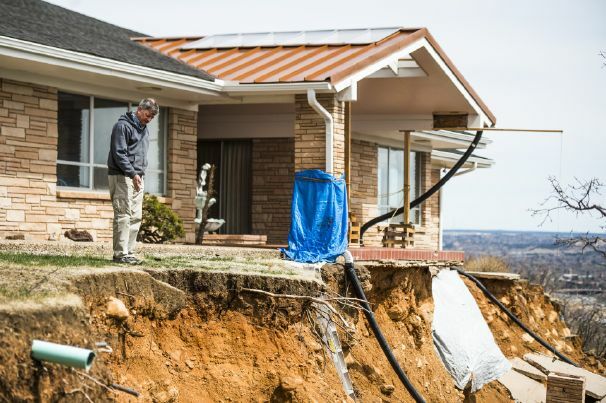 Saturated earth in western Colorado Springs took days, weeks and months to form landslides that have ruined about 26 houses, and resolution of the homeowners' woes, likewise, is moving at glacial speed. "I'm very frustrated because I'm making two mortgage payments, and I don't see any activity," said Linda Carroll, who abandoned her landslide-socked house in Lower Skyway and moved to terra firma on the city's northeast side. "We haven't had appraisals; we haven't heard any news. We thought we'd be getting payouts in a couple of months. It's so hard to just sit in your property and not know what your future's going to look like or what offers are to be made - or even if you will have an offer. The Colorado Springs City Council passed a new landslides ordinance Tuesday in a 9-0 vote - the exact opposite of the Planning Commission's unanimous vote rejecting the proposed law. The stunning victory came as sweet relief for Councilmen Don Knight and Tom Strand, who worked on the ordinance since May, meeting eight times with stakeholders ranging from the Colorado Geological Survey to the local Housing & Building Association, and from geotechnical engineers to developers and people living in landslide zones. Knight and Strand had proposed improving the law after landslides pulverized at least 28 homes since July 2015. The long-awaited study of the enormous Cheyenne Mountain Landslide Complex soon will begin, Mayor John Suthers said Tuesday. Perched atop or beneath that landslide head scarp is some very pricey real estate with priceless views. And the landslide complex movement might be deep-seated and extensive, said State Geologist Karen Berry, director of the Colorado Geological Survey. That's why Suthers is moving forward to "get devices in place to begin monitoring," with requests for proposals on the work to be issued shortly, he said during a luncheon meeting with City Council members. The study launch will be "a step in the right direction," Berry said. Christina Gretz is determined to make this Christmas merry for her husband and three children, even as their landslide-ravaged home cracks and creaks around them. They have endured snakes slithering into their house, popping noises awakening the children at night and huge cracks materializing in floors, ceilings and walls, all because of the earth movement destroying their home. Anxiety has become a way of life, with emergency escapes planned in case a bathtub crashes through a floor into a basement bedroom or a ceiling suddenly gives way. "I am determined to give these kids a normal Christmas and give them good memories. These kids deserve to be happy and not have this stress," Gretz says. 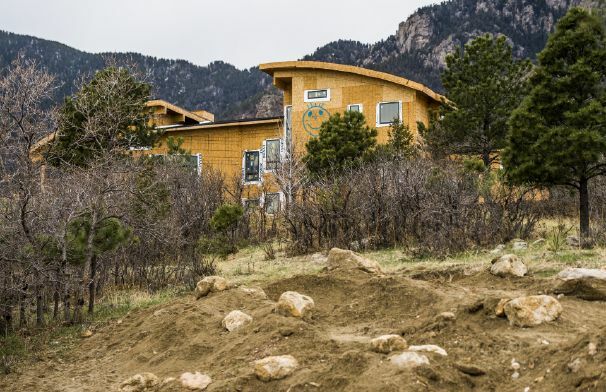 Three houses perched atop a hillside on Columbine Avenue, straddling the landslide zone, were built in 2003 without geological hazard reports required since 1996 under a Colorado Springs ordinance. And they've all been falling apart because of construction that didn't heed the landslide potential and soil issues there, say the homeowners and engineer Brian Hildenbrandt. Under city law, the builders weren't required to get geohazard reports because the lots had been platted in 1984. Once a property is platted, it's cleared for construction. And only individual houses - not entire developments - were being erected. What City Councilman Don Knight initially envisioned as a quick fix for building in Colorado Springs' geological hazard zones has morphed into a process encompassing all stakeholders' perspectives and moving about as slowly as a landslide. Progress was incremental again Monday in a second meeting with geologists, geotechnical engineers, builders and homeowners, but this time also featuring Karen Berry, director of the Golden-based Colorado Geological Survey. 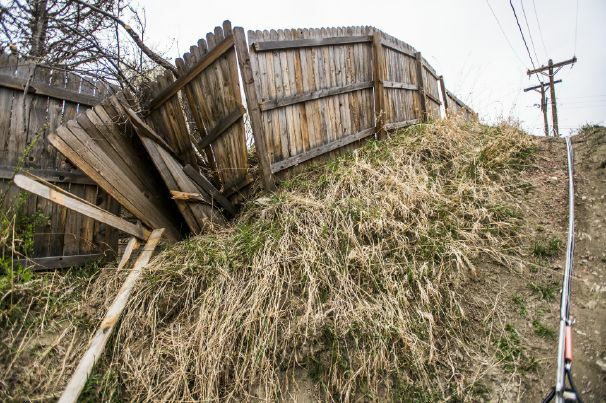 Knight, with fellow Councilman Tom Strand, seeks to strengthen the city's requirements on building in landslide zones, since 500-year record rains in May 2015 prompted slides that pulverized at least 26 local homes west of Interstate 25. Worry comes naturally to anyone living in a Colorado landslide zone these days, but you can reduce your risks and prepare for the worst-case scenario. That's what homeowners in the Broadmoor Resort Community, Littleton and Vail are doing. And in California - land of earthquakes, mudslides, landslides and coastal erosion - property owners have taxed themselves through special districts for nearly 40 years to forestall disaster and financial devastation. Such funds would have come in handy for dozens of people in Lower Skyway and Broadmoor Bluffs in Colorado Springs who have lost about $7 million in property value since landslides struck their homes last year, reports the El Paso County Assessor's Office. Colorado Springs officials and stakeholders reviewed a new landslides law Friday designed to slam shut loopholes, strengthen geological hazards reports, and ensure construction of safer homes. City Councilmen Don Knight and Tom Strand proposed the ordinance rewrite in the wake of landslides that have pulverized 26 houses over the past year. In their review Friday with business and building representatives, engineers and geologists, the councilmen were conciliatory but held firm on some points they're pushing to protect residents. They want higher standards, even if costs increase. Local landslide victims - outraged that they're expected to pay for appraisals, closing costs and demolition of their ruined houses - now hope that Colorado Springs City Councilman Keith King can help. King and Councilman Tom Strand met with about a dozen homeowners Friday in Lower Skyway and vowed to work to bring them some relief. The 500-year record rainfall of May 2015 prompted slides that landed 26 homeowners in Lower Skyway, Broadmoor Bluffs and Broadmoor Resorts on a list seeking buyouts from the Federal Emergency Management Agency. A new Penrose-St. Francis hospital could tower 200 feet high on a ridge in front of Pikes Peak on land that is in a wildfire zone, partly in a landslide zone, 2 miles from the Rampart Range Fault and directly above the site of the Holland Park landslide that wiped out nine homes in 1999. Even with spectacular views, a great neighborhood and a booming local real estate market, Marcy and Peter Dolan are having trouble selling their Broadmoor Bluffs home. As of Thursday, their southwest Colorado Springs home had been on the market 55 days, said Marcy Dolan. That's three weeks longer than the regional average of 36 days on market in April, according to the Pikes Peak Association of Realtors. The Dolans have dropped the price on their home by $30,000, but they have only had two showings and no offers. The problem, Marcy Dolan says: the media's coverage of landslides in her neighborhood. "We can't sell," she said. The City of Colorado Springs filed an application Friday, seeking assistance for owners of 26 homes that have been severely damaged by landslides in 2015. The application, worth a combined $13.3 million, was for the Hazard Mitigation Grant Program offered through the Federal Emergency Management Agency. Unless other grant money becomes available, these homeowners will compete statewide for a portion of a $3 million pool of money. In all, 79 Colorado Springs property owners asked to be in this round of buyouts. 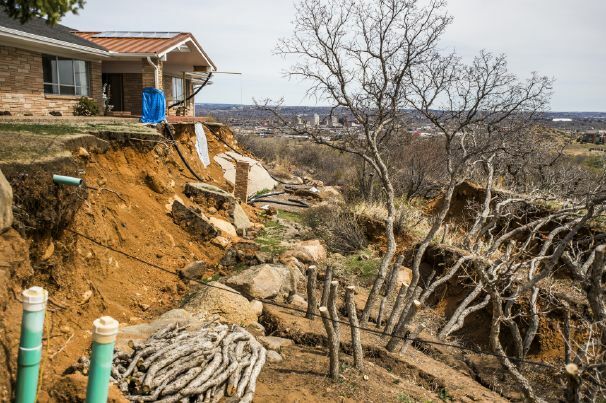 Three Colorado Springs Councilmen want the city to impose a moratorium on building in landslide zones while a committee of council and staff members studies the issue. "There's been a string of articles in The Gazette regarding houses built in landslide areas. For us just to sit here and read the articles in the paper and then go on with our business as usual, I think is us shirking our duties," Councilman Don Knight said during a council work session Monday. Owners of about 80 homes on the city's west side have signed onto a list compiled by the city to pursue buyouts, condemnation and demolition through a state-administered program paid by the Federal Emergency Management Agency. William Farkas has been trying to keep his good credit rating by making $1,500 monthly mortgage payments on his landslide-destroyed house in Colorado Springs. Upon learning Thursday that only $3 million will be distributed statewide from the federal Hazard Mitigation Grant Program, Farkas is reconsidering his plan. His house was one of 28 that sustained landslide damage totaling at least $6.4 million, twice what is available from the federal program, reports the El Paso County Assessor's Office. "If it's $3 million (statewide), we're screwed," Farkas said. The city repeatedly has advised that, if they qualify, homeowners could receive 75 percent of the full "project cost" - i.e. Is your home in a landslide risk zone? Is your home in a landslide risk zone? Search for your address below to see if your home is near a zone that the Colorado Geological Survey has classified as having landslide susceptibility. Thousands of homes on the west side of Colorado Springs are at risk from newly awakened landslides despite 40 years of warnings from geologists and city regulations created to ensure safe homebuilding. Yet houses continue to be erected in landslide-susceptible areas, even as nearby homes crumble and despite mapping of landslides since 1973. Read The Gazette's special report. About 80 homeowners seek federal emergency relief because of damage or potential damage to their houses. Of those homes, 28 have landslide damage totaling at least $6.4 million, according to the El Paso County Assessor's Office. - See the damaged homes of Rick Sisco, William Farkas and others here. Competition will be tough for people who own houses rattled by landslides in Colorado Springs. Dozens of homeowners are seeking compensation from the Federal Emergency Management Agency, but they're going up against an untold number of others statewide, said Gordon Brenner, the city's recovery coordinator. And no one knows how big a pot the state will get, Brenner said. "All we know is, our application goes into a review with the state Department of Homeland Security's emergency management, FEMA," he said. The city's application is due May 10, and officials must follow strict evaluation criteria in determining which houses were hardest hit.